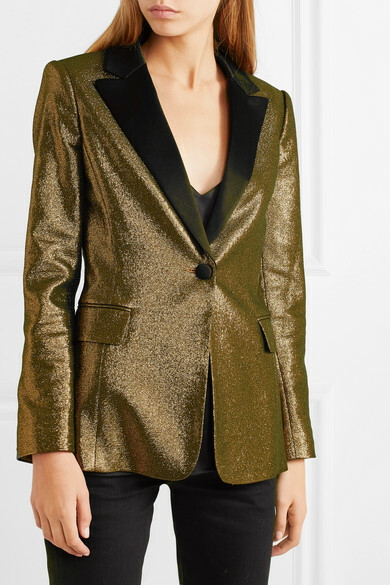 Alice + Olivia's pieces are favored by the likes of Gigi Hadid and Beyoncé, and it's easy to imagine either one stepping out in this 'Robert' blazer. 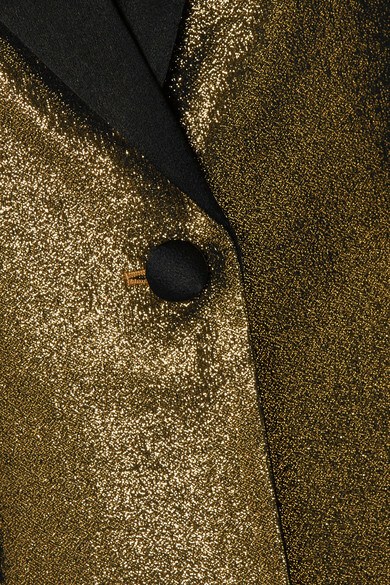 Made from shimmering gold Lurex that catches the light as you move, it's cut for a slim fit and finished with wide black satin lapels. 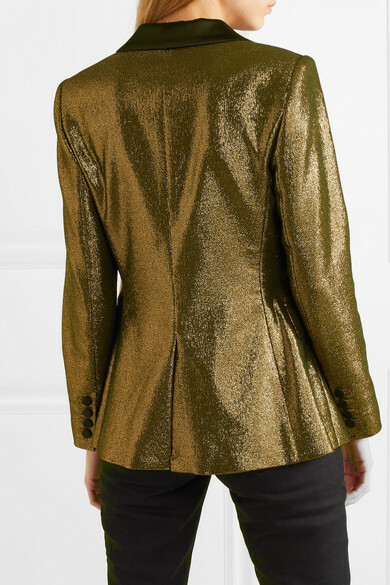 Wear it with cropped jeans and pumps. Shown here with: Galvan Camisole, Goldsign Jeans, Gu_de Shoulder bag, Christian Louboutin Pumps.